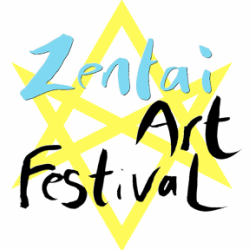 We will meet at the office of Passion art festival. 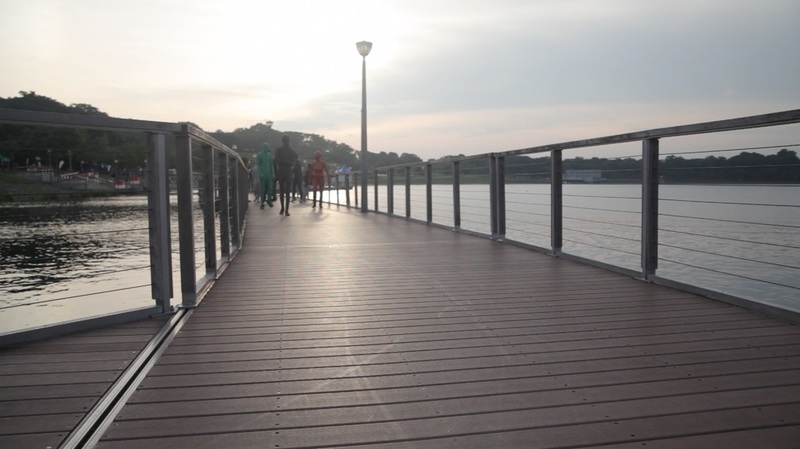 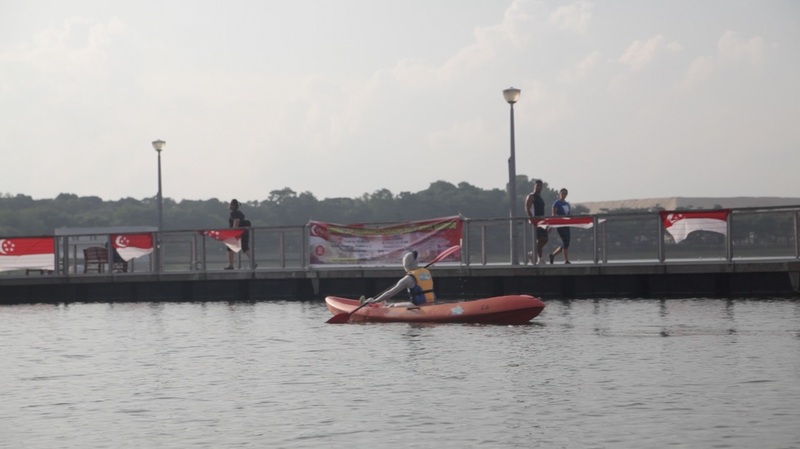 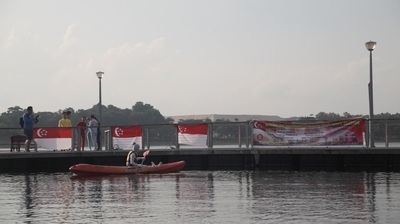 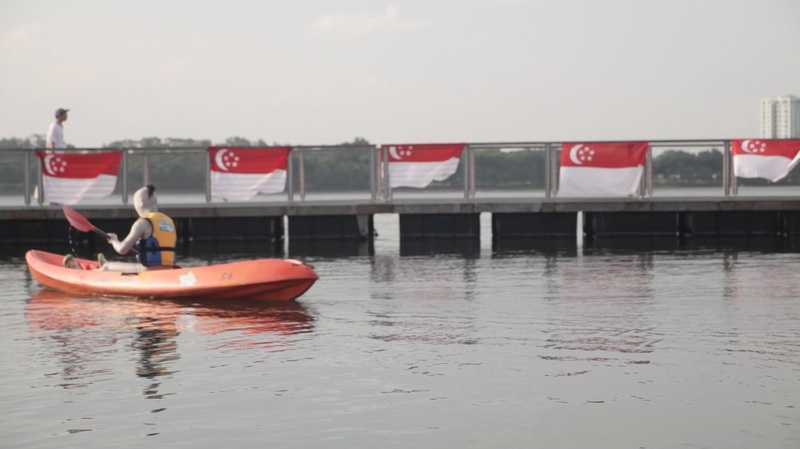 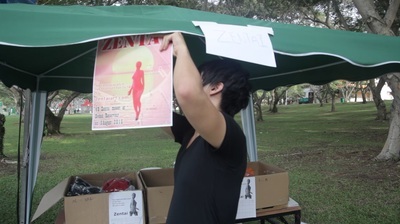 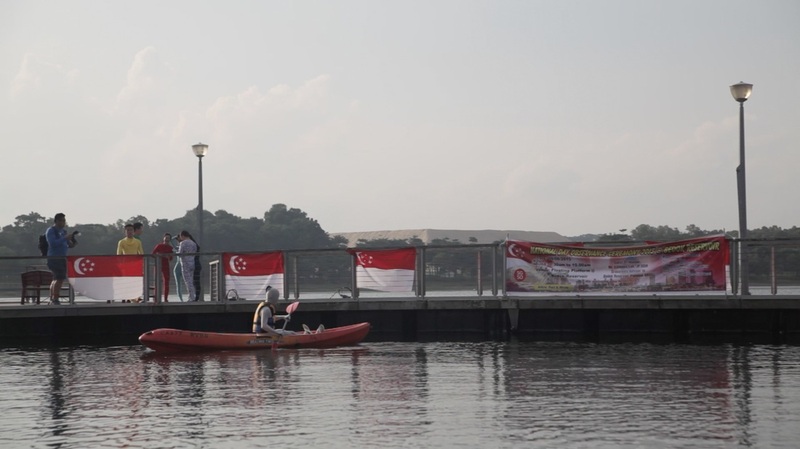 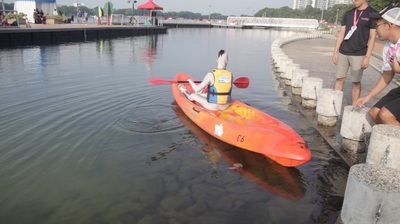 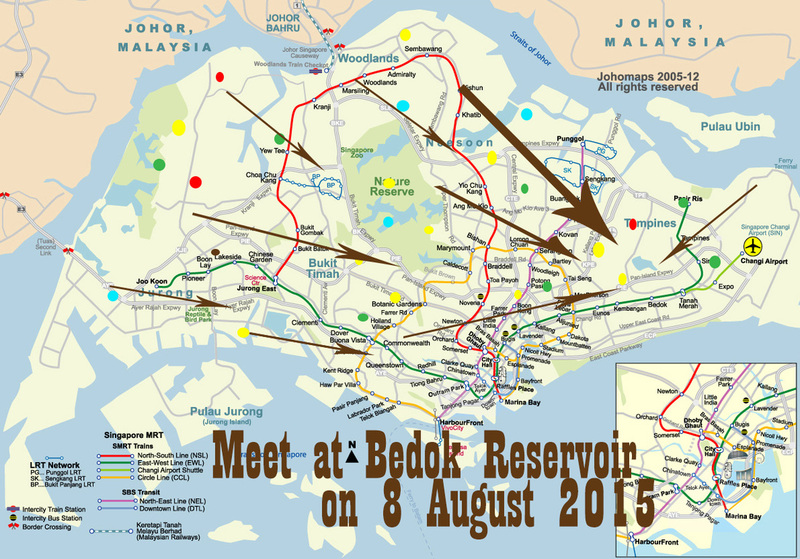 It is at Bedok Reservoir. 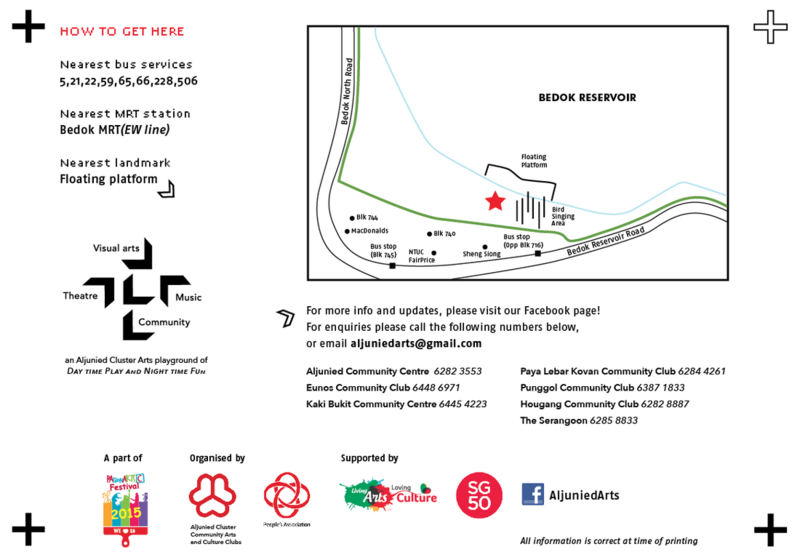 Closest Blk to the office is Blk 740. 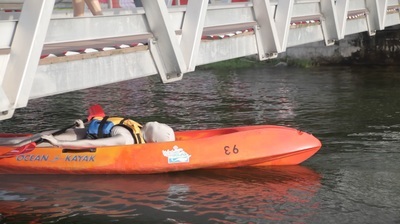 From 723, if you walk to the water, you will see the floating platform. 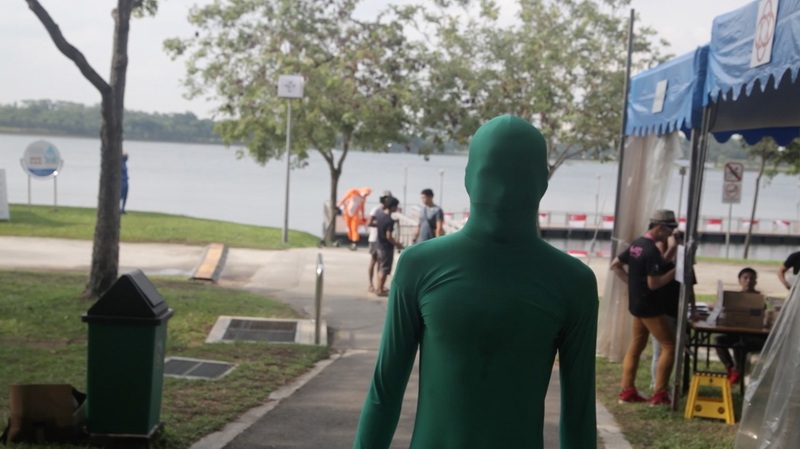 On the left side of the platform, you will see dark green cargo and electricity generator. 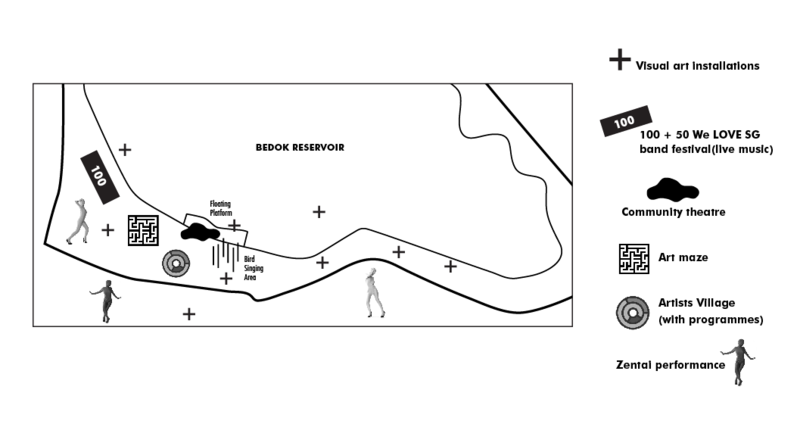 This is where the office is. 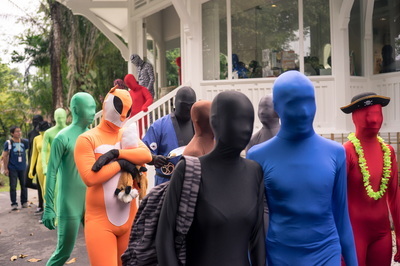 We will meet there at 4:30. 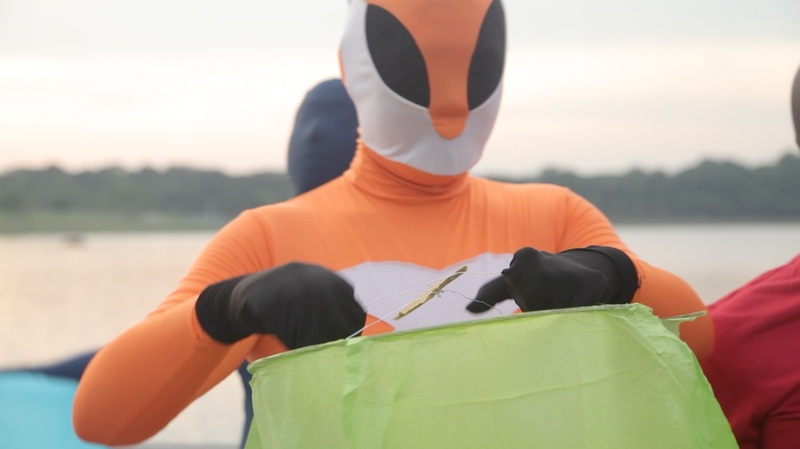 Wearing zentai raises the question of whether we really need identities and introductions in order to establish human communication. 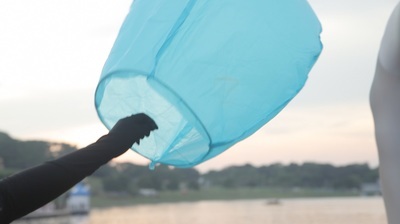 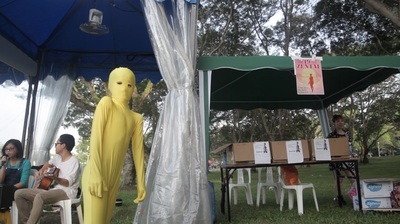 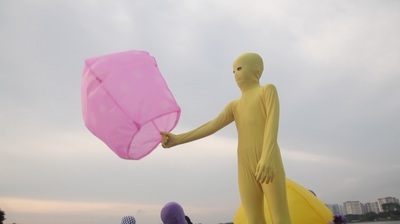 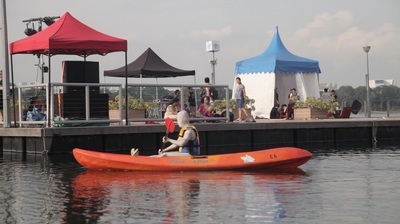 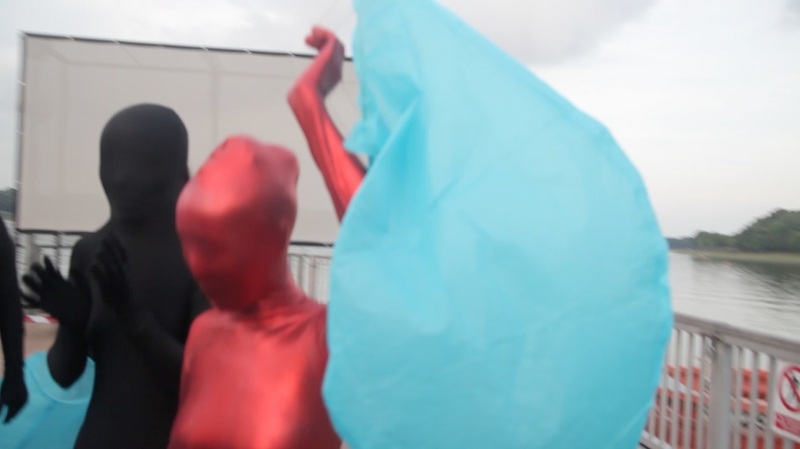 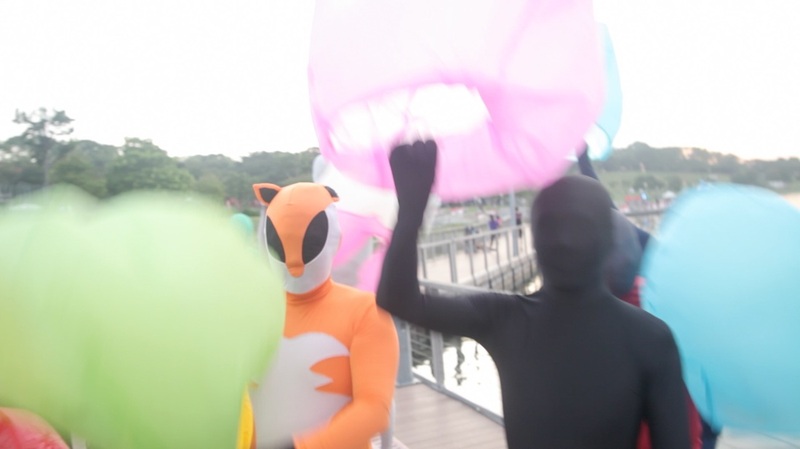 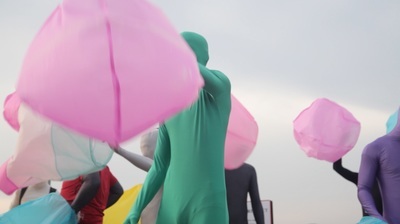 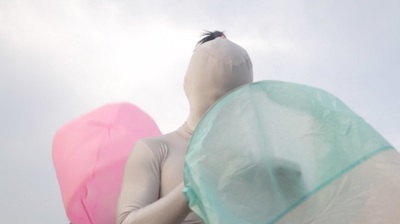 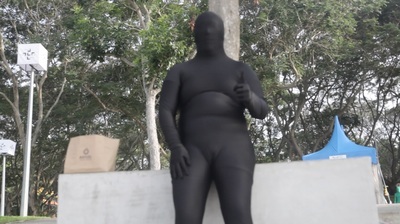 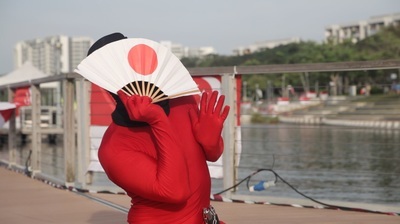 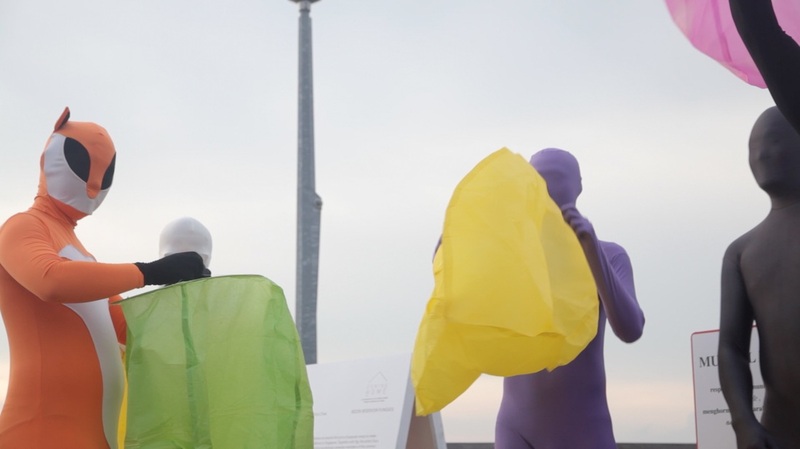 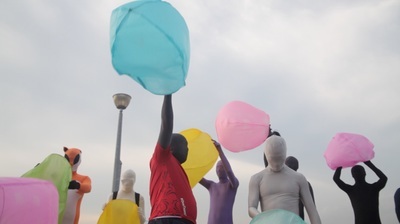 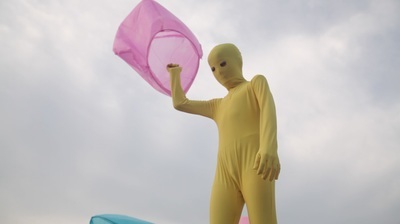 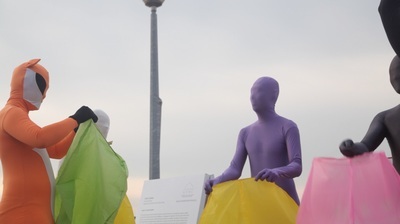 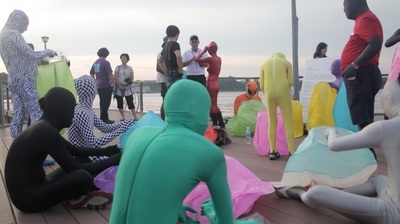 In this way, wearing zentai is reminiscent of childhood, when children encounter one another and start playing, without any concern or prejudice. 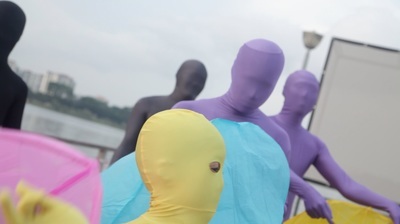 Do we need to identify a stranger in order to understand if the person is of use or gain to us? 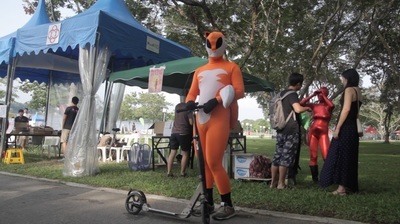 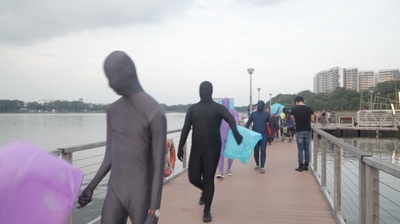 Zentai Art is an unique Singapore art form. 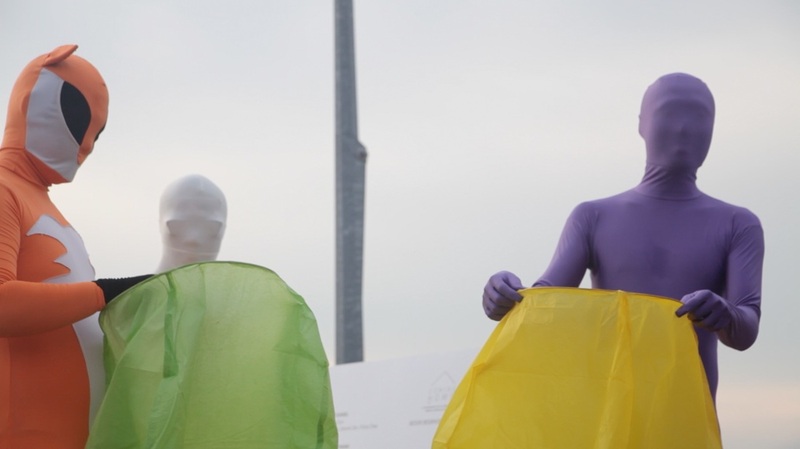 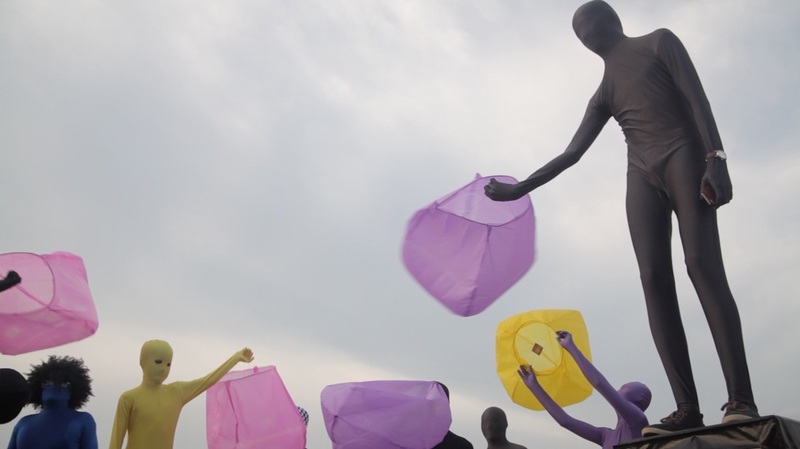 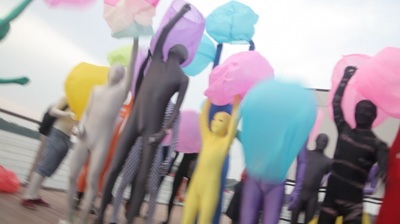 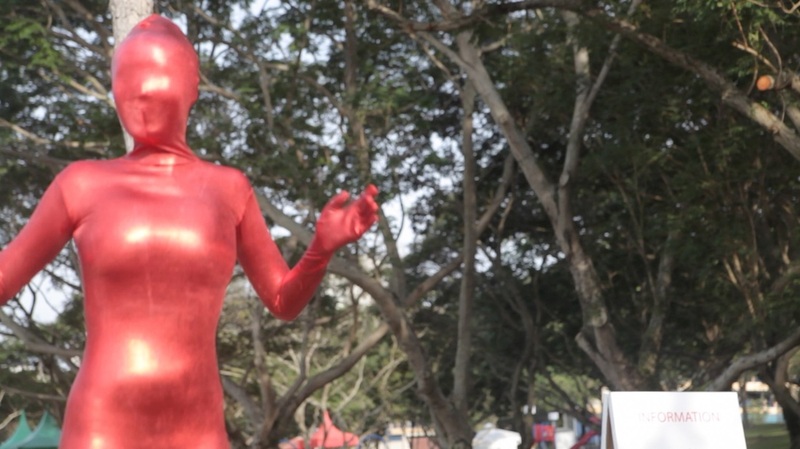 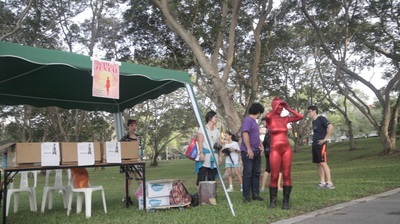 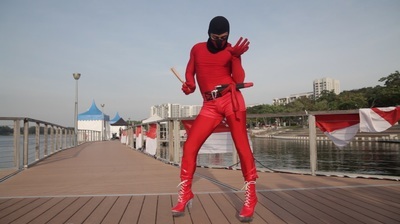 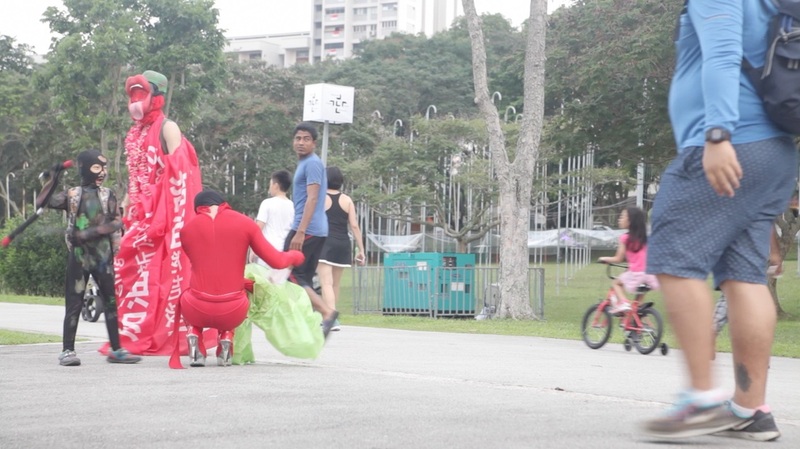 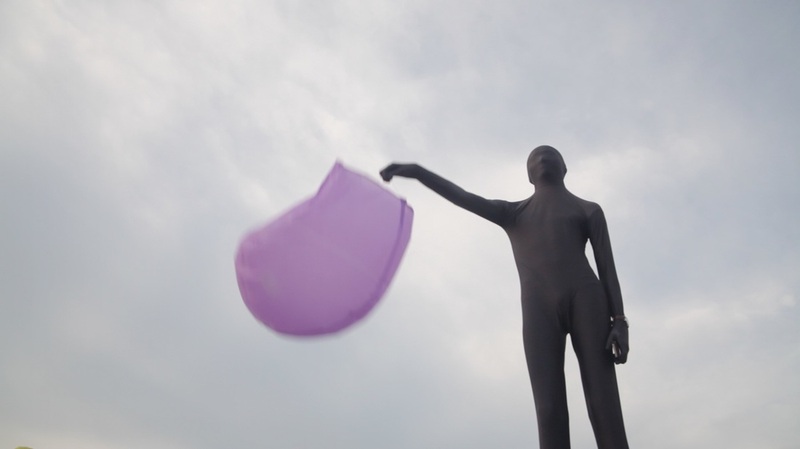 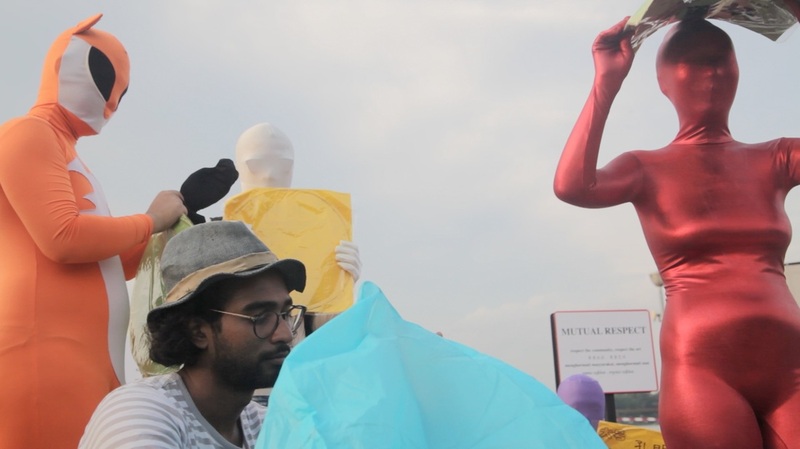 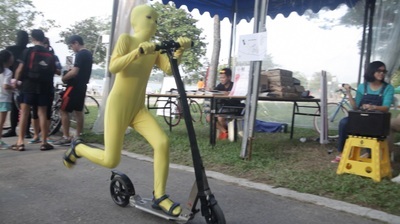 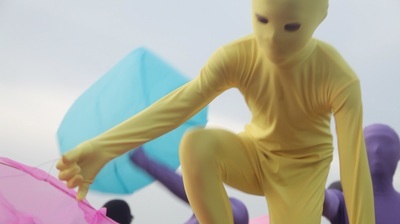 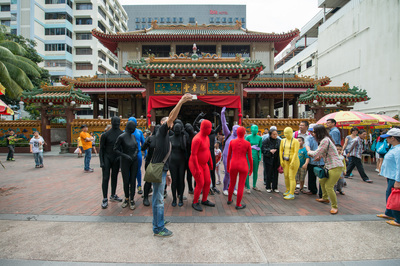 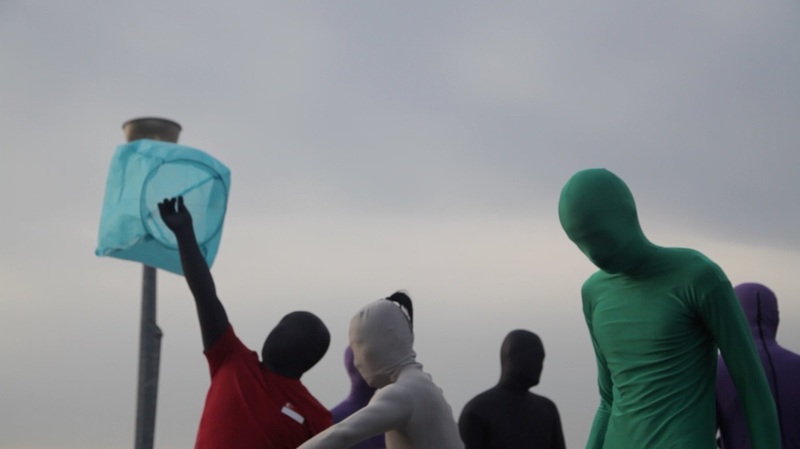 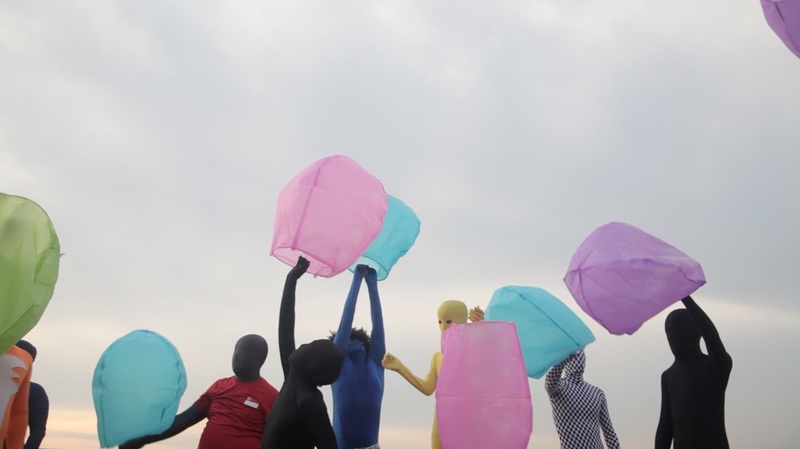 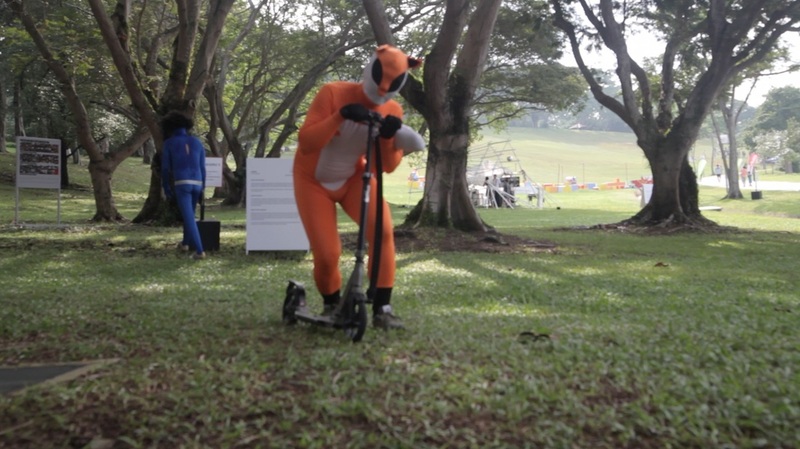 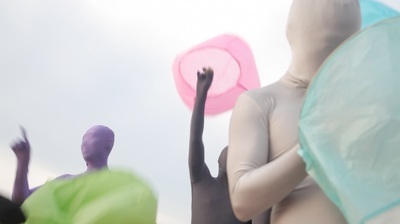 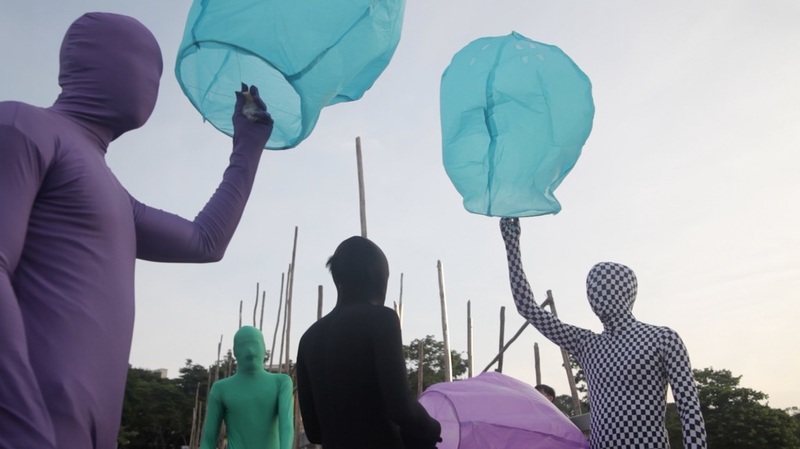 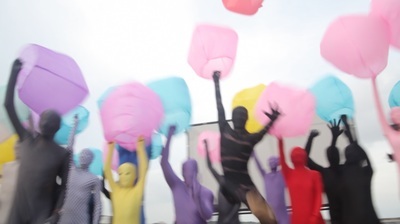 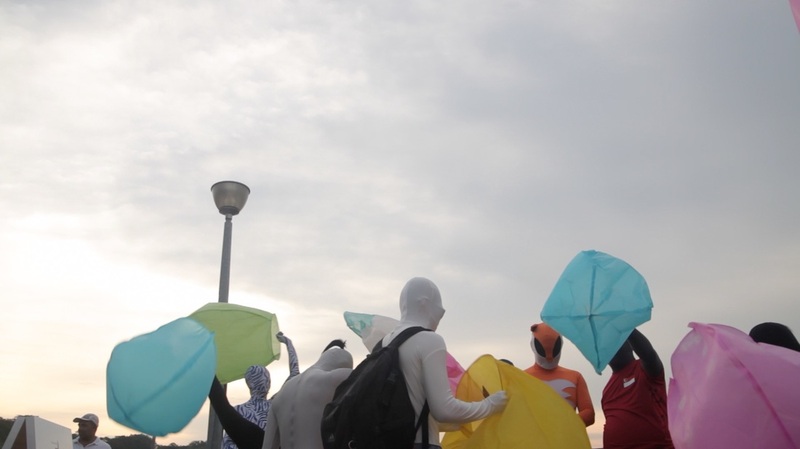 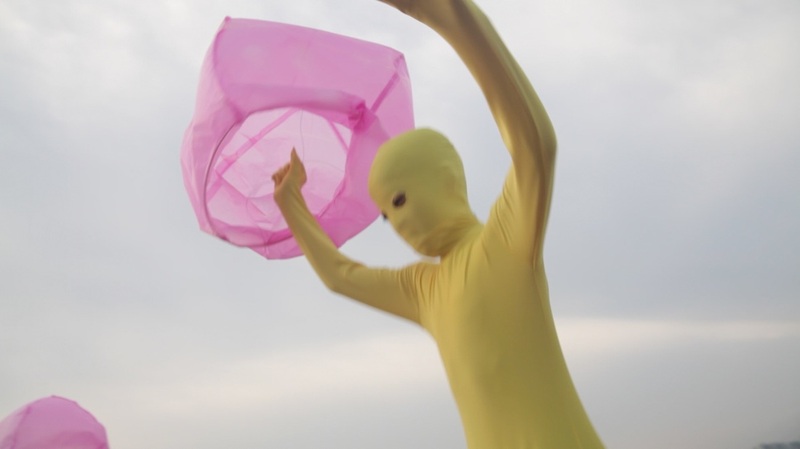 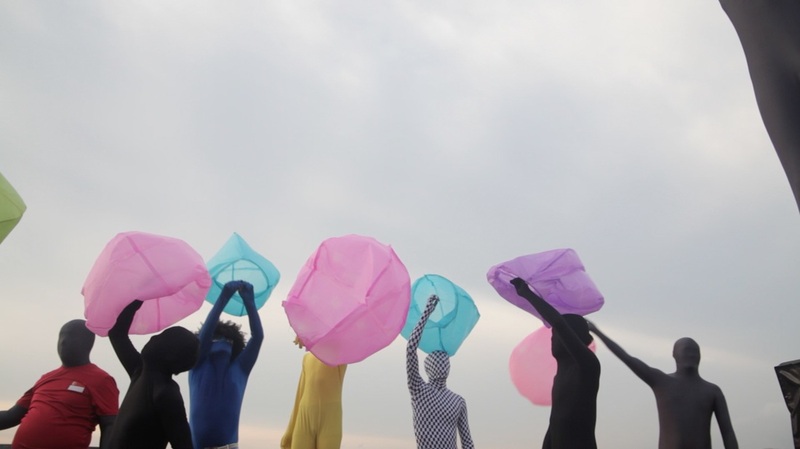 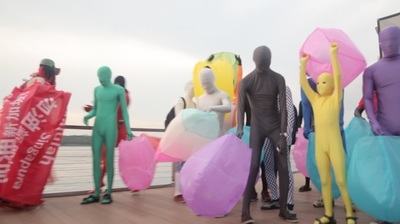 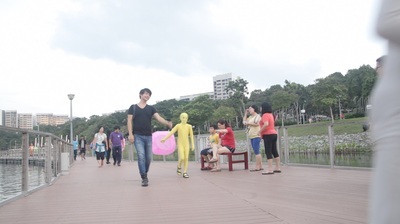 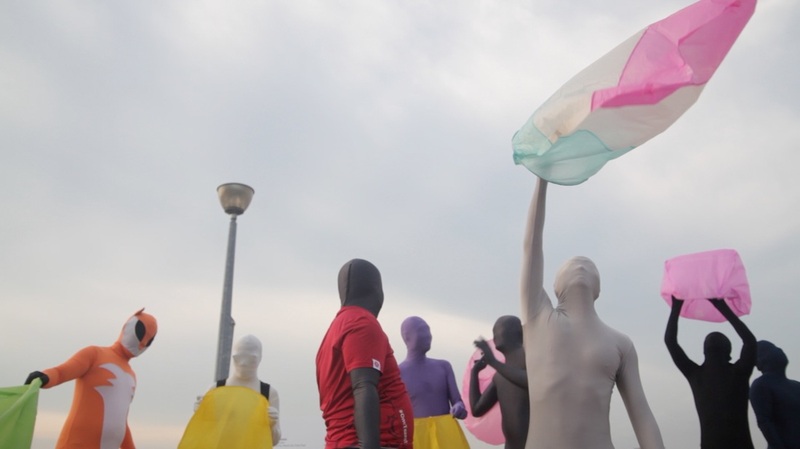 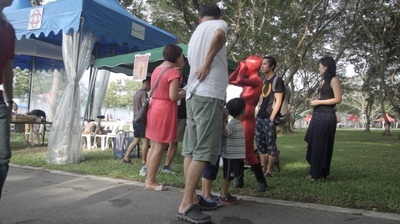 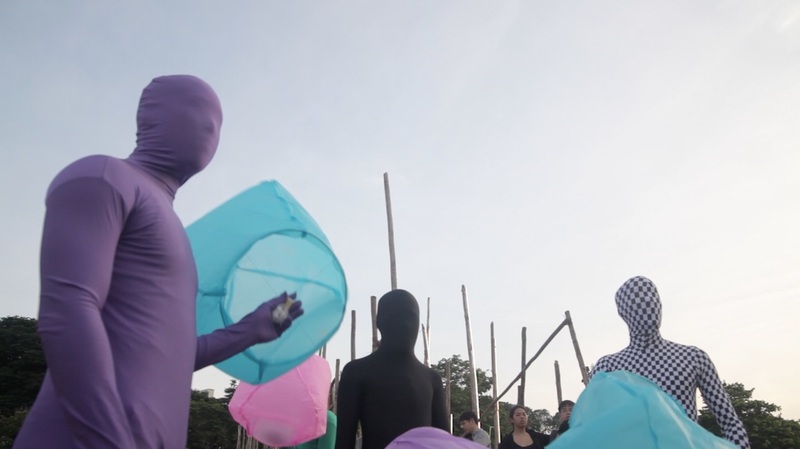 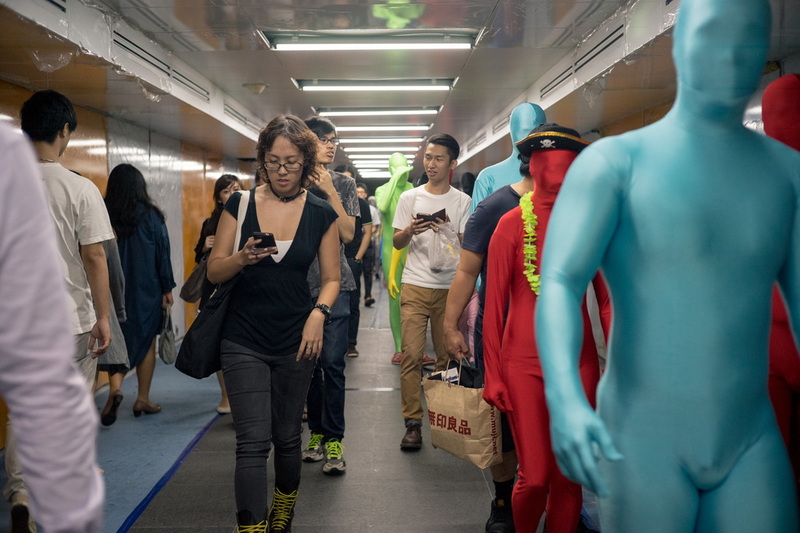 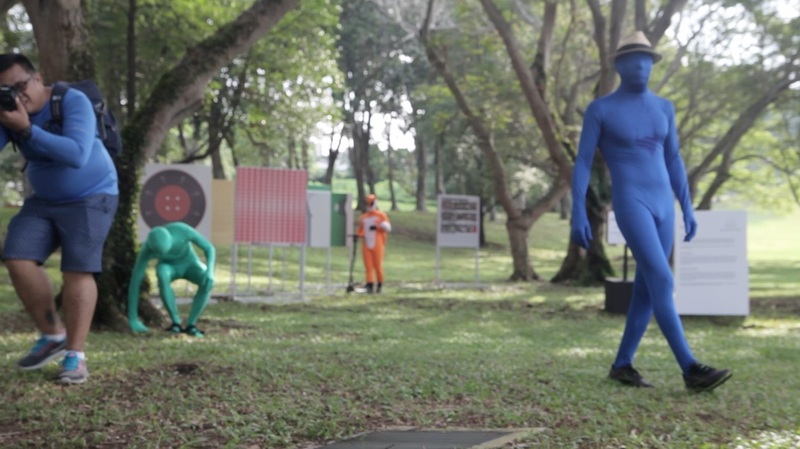 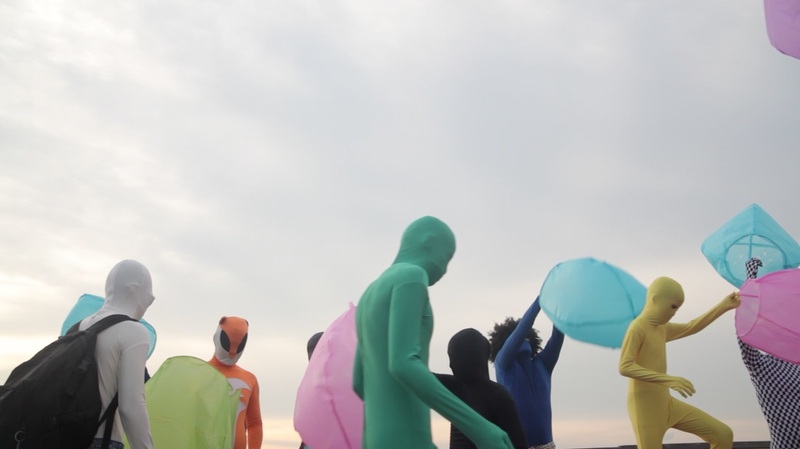 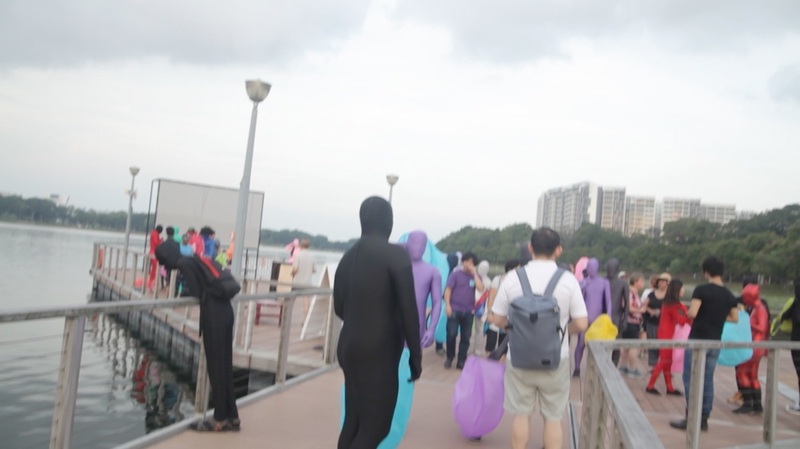 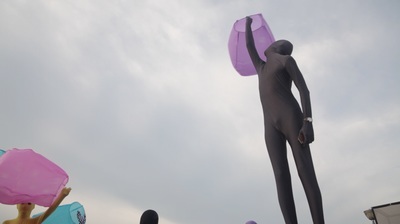 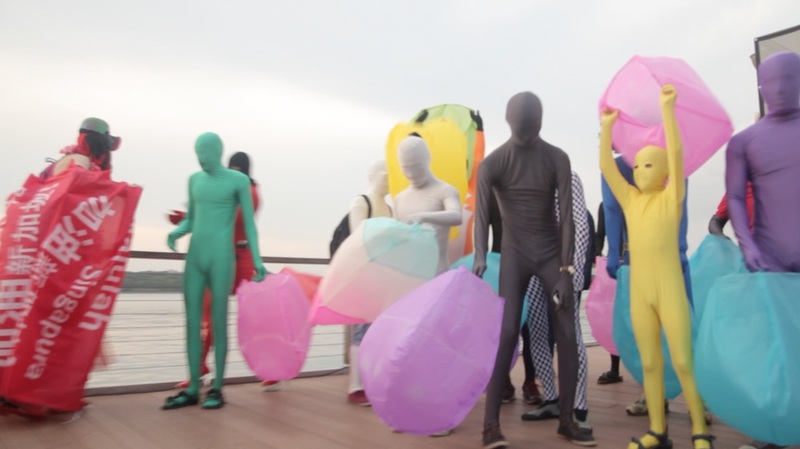 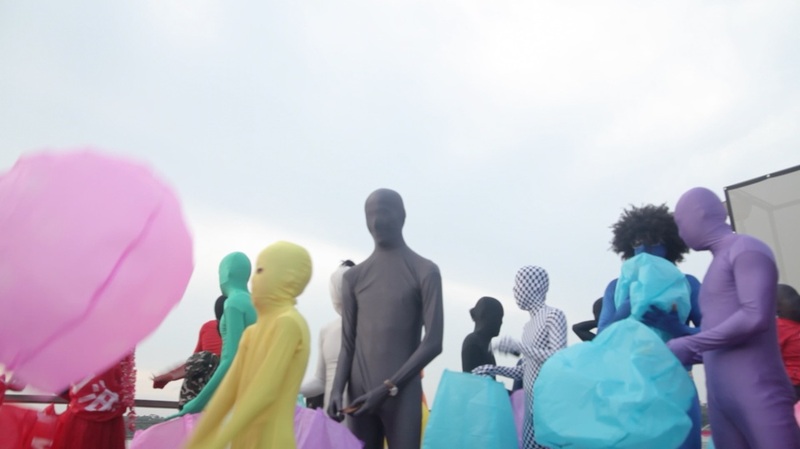 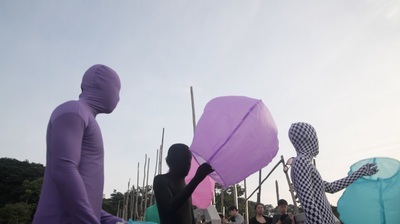 Zentai art is rapidly growing in Singapore questioning the identity and the society. 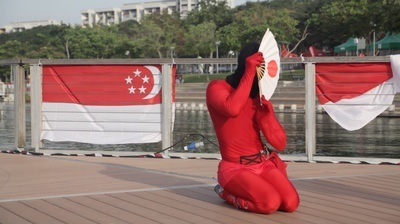 This art from will help Singapore to generate the creativity to make an unique identity in the community.